Win two tickets to the Etsy Success Sydney on 2 June! We have two passes worth $100 each to give away, to attend this weekend’s Etsy Success Sydney conference! Are you creative with a burning passion for what you do? Want to learn from the world leaders in harnessing creativity and teaching about what to do with it? This Saturday, 2 June is the Etsy Success Sydney event at the recently renovated Musuem of Contemporary Art. It’s your chance to attend workshops from various industry experts as part of the Vivid Ideas Exchange. 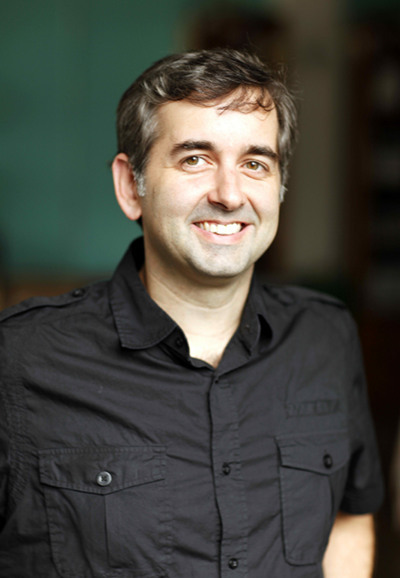 Etsy CEO, Chad Dickerson (below) will give a keynote address “Finding Your Courage” on his very first trip to Australia. Have a look at the program for details of the workshops and you’ll find there’s something there for everybody working in creative fields needing to harness the internet for maximum productivity and professionalism. We would love to give away two single passes to two separate winners. They are worth $100 each and you must be able to attend in Sydney this coming Saturday 2 June. Simply leave a comment below saying why you would love to attend Etsy Success Sydney. Entries close midnight Thursday 31 May and you must be contactable by email on Friday so Etsy can arrange your tickets. If you would like to buy tickets, you can do so through Vivid Sydney.